As a Pin Oak vendor, your business will be listed on the website and the Pin Oak app. If your reservation is made before February 15, you will also be listed in the 2019 program. Table, tent, trailer and food truck set ups are welcome. 30 amp and 50 amp electrical options available. The Market Place is located outside on Market Pl. and Derby Dr. in between Barns D & E and adjacent to the outdoor rings and arenas. The Shops are located under cover, with the option of concrete or dirt, in between Barn D & the BBVA Warm Up ring inside of Barn C.
For vendor inquiries, please contact vendors@pinoak.org. Please note: 25% Deposit is required at the time of reservation. Remaining balance must be paid in full by listed deadline. 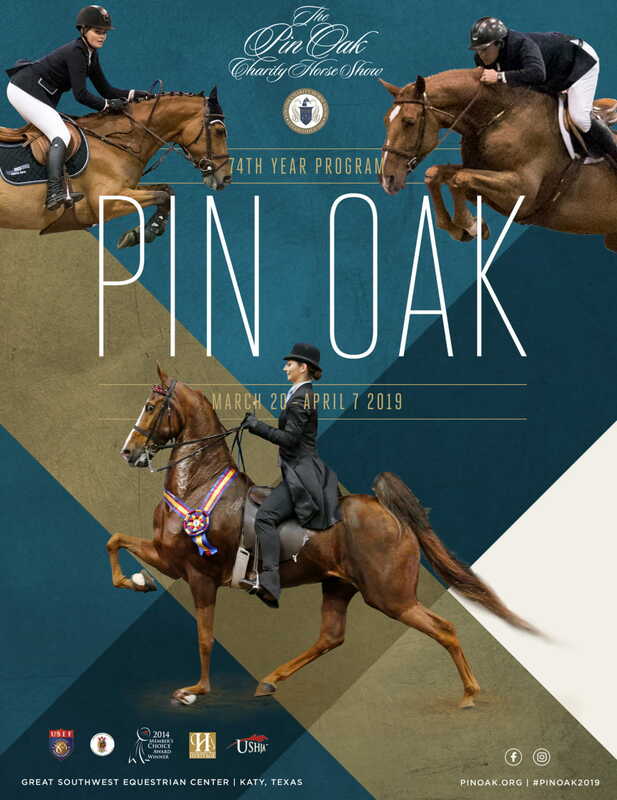 Any vendor applicant not paid in full by this date, will not participate in the Pin Oak 2019 show. Download the Pin Oak Vendor Info Packet. Food truck spaces are complimentary and only one food truck is scheduled per day. Space must be requested in advance of show starting. Food trucks that would like to be considered for our catering list for exhibitor or sponsor events during the show, please submit a bid to Scott Niemeyer. Food trucks or vendors that would like to donate a percentage of sales back during the Pin Oak Charity Horse Show will receive a tax receipt and be listed as a show donor. For more information on becoming a show donor, please contact sponsorships@pinoak.org. 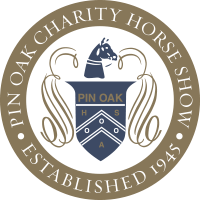 What is the Pin Oak Charity Horse Show? The Pin Oak Charity Horse Show is the premier equestrian event in the South. It attracts participants from as far afield as Canada, Mexico and some 26 states within the USA. It was the first Horse Show to be designated as a United States Equestrian Federation Heritage Horse Show and has received top 25 NARG show winner two years in a row. 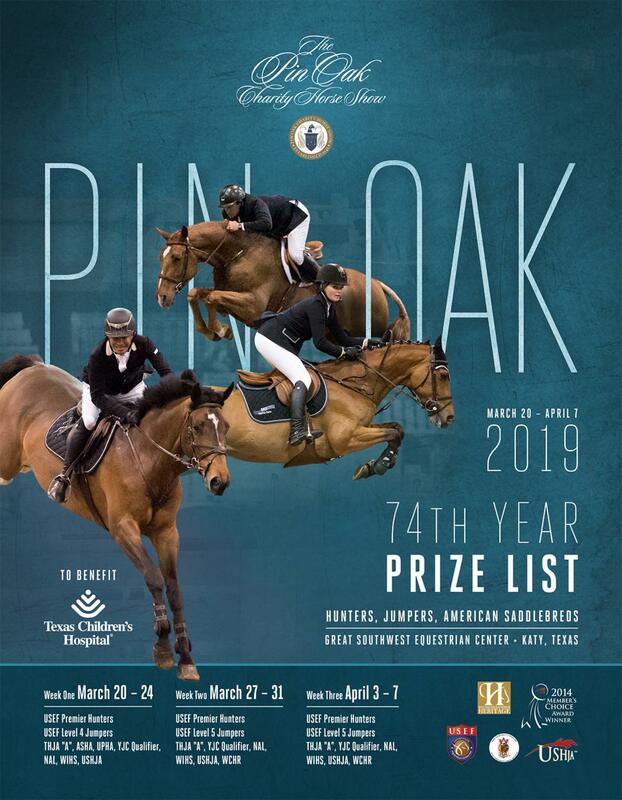 Pin Oak is a USEF Premier rated show, USHJA Level 5 Jumpers both weeks, WCHR both weeks, and hosts American Saddlebreds Week I and Hunters / Jumpers both weeks of the show. Where is the Great Southwest Equestrian Center? The address is 2501 South Mason Road, Katy, TX 77450; click here to see our location on Google Maps. Where are the booths situated? Most booths are located close to the main competition ring. Trailers are welcome too. Click here for a map of the Showground. For all price information, see the 2019 Vendor Form. What are overnight accommodations available? There are plenty of budget hotel accommodations close to the show ground: Visit our Lodging page for more information – 2017 information coming soon! All furnishings and materials are necessary to set up your booth. NOTE: The facility does not provide tables and chairs, please bring your own. Yes, electricity and water can be found on the grounds. However, not all sites have electricity or water; please specify your needs on the application form. Booths are allocated on a first come basis, so if you have particular requirements, get your request in early! What kind of security will be provided? Pin Oak has arranged for 24-hour security. However, any Vendors choosing to leave merchandise or monetary instruments unattended at any time will do so at their risk. The Pin Oak Charity Horse Show is not responsible for any theft, damage or loss of product from any vendor.